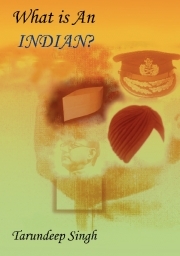 ‘What is an Indian?’ By Tarun Deep Singh is a well-thought and well-researched philosophical book that takes a firm stance on ‘Being Indian’ and possess a very relevant question - what does this country expect from us? The author has boldly taken up the issues and problems that our country is currently facing. Thus, this work may sound like a critical evaluation of the country’s persisting problems. Well on the other hand, the author has tried to summarize the ‘Indian’ context in eleven chapters followed by three appendixes. Apart from the Indian Identity fiasco, there is more, for example topics like the condition of women in our country. Then we have the poor educational infrastructure, the author has given some critical examples where it is shown that how poor educational facilities in colleges affect the overall skill set and knowledge gaining process of our country. In the chapter called Spiritual Content – it has been discussed as how imposters hijack the mindsets of people. Read it and you will find the kind of strategies that these people execute on masses. Youth is a major resource of the country and it is the same youth that impact the overall future generations of our country. However, the current state of our youth is not healthy. The youth is involved into many untoward activities. As a result drug addiction and loneliness has become a salient characteristic of today’s youth. Read on to know more about the aspects affecting the youth of India. This chapter has been divided into many sub-chapters and appears longest in the book. Another interesting chapter is ‘Well Known Existing Issues’, where Tarun has terrifically pointed out the some of the issues that run in this country like a backdrop, for example - discrimination based on caste, extra importance to cricket which led to the death of national sport hockey and many other indigenous sports. Who all can take up this book: people with philosophical bend of mind, students researching about being Indian or Indianism, and those who want to peep inside the modern India’s tenacity. At a broader level, in fact whosoever is interested in knowing what kind of attitude and mentality Indian people hold today. The book scores nine out of ten in scrutinizing the psychology and behavior of our people toward our motherland.